An introduction to 3A yoyoing. 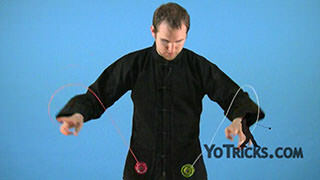 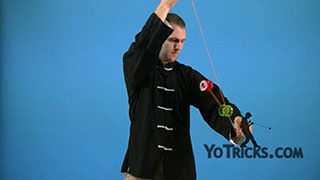 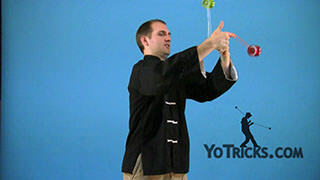 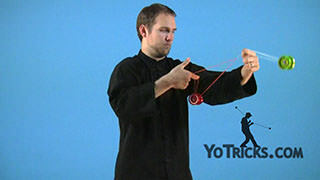 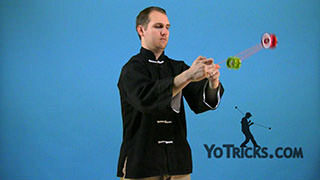 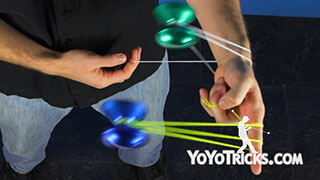 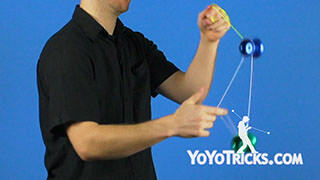 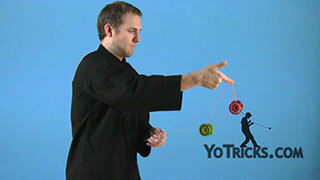 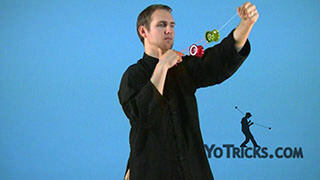 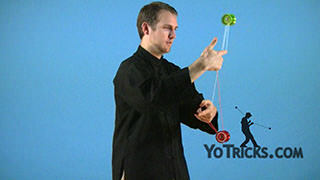 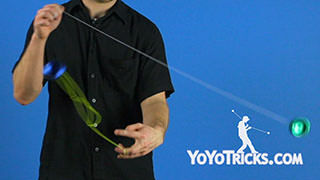 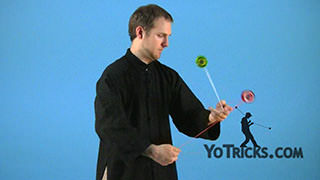 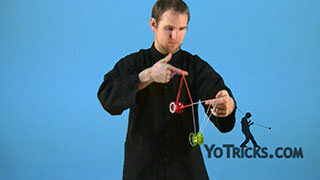 3A Yoyoing Introduction Yoyo Trick3A is a style of yoyoing where you perform string tricks with 2 yoyos as one time. 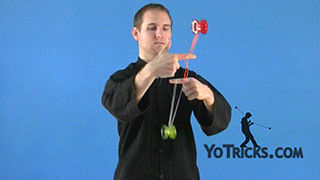 Usually this is done with unresponsive yoyos as you get longer spin times and it is a little easier to learn tricks. 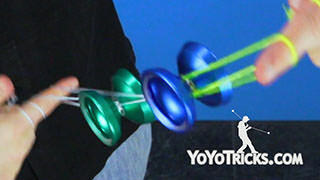 Throughout these videos I will be using two Protostars: a red and a green one. 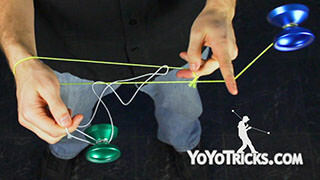 They each have different colored strings. 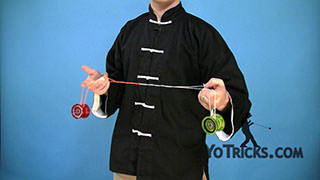 The red will always be in my right hand, and the green in my left hand. 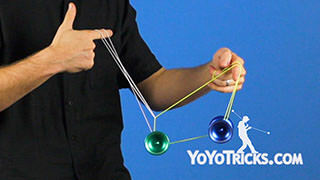 This should make it easier for you to learn tricks and see what is going on in the video. 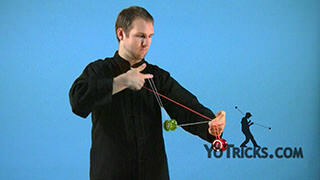 You will find that 3A is one of the hardest styles of yoyoing to master, the most frustrating part is the complicated knots that you get. 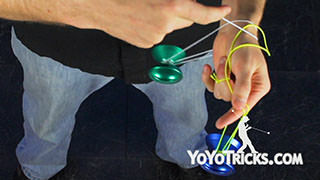 But don’t let those get you down. 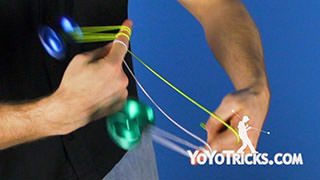 Get those knots out, practice hard, and you will have a lot of fun.